I received book for review from Tilbury House Publishers. The opinions within this post are of my own and I was not influenced in any way. Please do your own research before purchasing products or using services. Your opinions and results may differ. Painting a snowman is simple: three circles, black dots for buttons & eyes, and a carrot for a nose. That is, unless you're Salvador Dali, whose flattened snowmen melt in a desert, or Georgia O'Keeffe, whose snowman sports an antlered skull instead of button eyes. Or Roy Lichtenstein, or Pablo Picasso, or Pablita Velarde, or any number of influential and beloved artists. 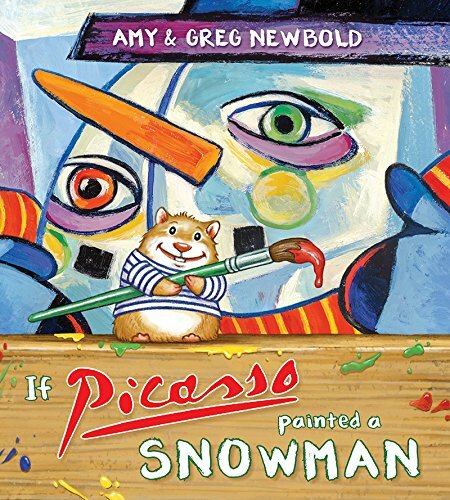 IF PICASSO PAINTED A SNOWMAN introduces young readers to many acclaimed painters, but most importantly it shows children that it's okay to be different, and encourages them to embrace their individuality and unique view of the world. International Artists Day is coming up on October 25th. It's a day dedicated to painters, crafters, sculptors, and others who use their canvases to create masterpieces. If you want to introduce your child to famous painters and how they might create a snowman, I highly recommend the If Picasso Painted a Snowman hardcover book. In fact, this book is high on the top of my list of favorites. Greg Newbold, illustrator, did a fantastic job of making pictures that are representative of what an actual painter might use if they created a snowman. For instance, Sonia Delaunay was known for creating art that emphasized bright colors and overlapping geometric shapes. She is just one of the famous painters represented in this book, and the illustration of what her snowman might look like uses the same style of Orphism that she used in her actual paintings. A cute little gerbil (or hamster...I'm not sure which) is depicted in each page. 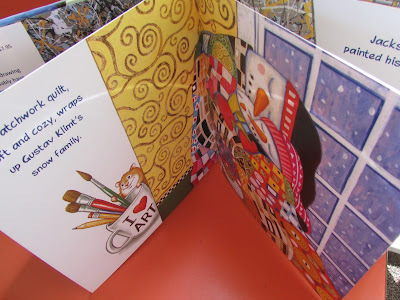 At the end of the book is an easel with a blank slate for a child to draw their own snowman if they choose. What this book teaches us is that not everyone paints or creates in the same way. It also gives parents the opportunity to talk about the different ways images are created. Thirteen famous artists are portrayed with their possible rendition of a snowman, and children can learn about each of these painters by reading their short bios that are featured at the back of the book. Looks like a really nice book. Thanks for the great review. I think this book is soooo cool. I LOVE it. I might get this for my god-daughter.